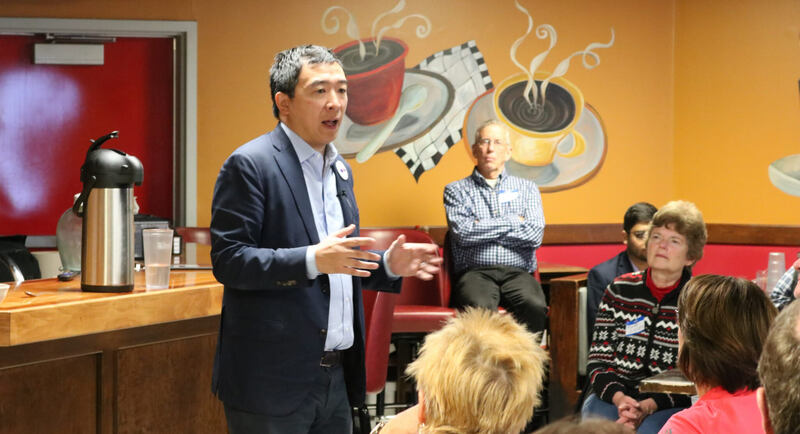 Entrepreneur and Democratic presidential candidate Andrew Yang joined the Johnston Area Democrats for breakfast Saturday, his eighth visit to the state. It was part of a three-day tour around Iowa. Yang spent a lot of time emphasizing that, from his experience and career as an entrepreneur, he sees his unique campaign platform to provide each and every American adult $1,000 per month as a critical next step for the country. Universal basic income (UBI) is Yang’s flagship policy proposal. Yang says this policy idea, which he calls the “Freedom Dividend,” has resonated with voters more because of the mentality behind it, rather than the specifics. 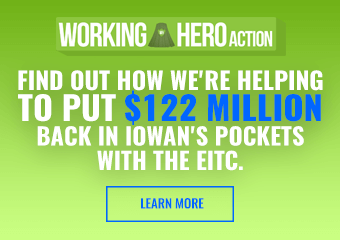 Yang is also hoping to attract more independent and Republican voters with the UBI proposal. Yang theorizes because supporters of President Trump’s campaign cast their votes hoping for an entrepreneurial president, he can win many of their votes. 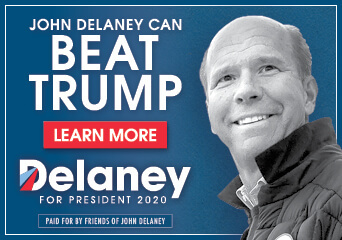 And despite having a “very, very progressive” agenda, Yang believes he can build a broad base of voters from all parties. “I believe I’m going actually to be able to galvanize not just Democrats and progressives…but I can also get independents and Republicans because they see that I’m just trying to solve the problems that got Donald Trump elected in the first place,” Yang said. However, Yang emphasized that he’s got more to offer than just a universal basic income proposal. 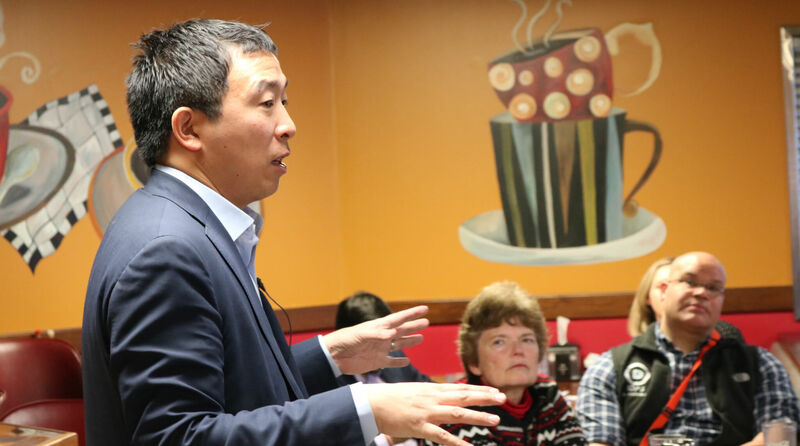 “I’m certainly not just about one thing,” Yang said, citing his lengthy list of policies on his campaign website, something he made a point of to highlight to the audience Saturday. Even without an inauguration-sized launch in Oakland or an announcement on late night TV, Yang feels he can stand out amongst the crowd. 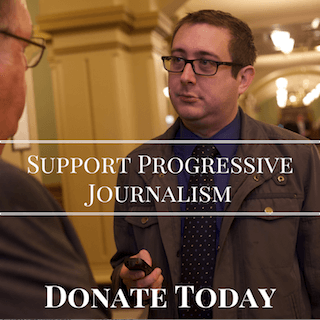 And he pointed out that his campaign is boosted by small donors, and that they’re not taking any PAC money. Cecille Thompson of Johnston attended, and although hopeful for Yang, wondered about his viability as a candidate. Yang stated he has several more Iowa visits planned this month, and hopes to bring his family along with him to Iowa in March.